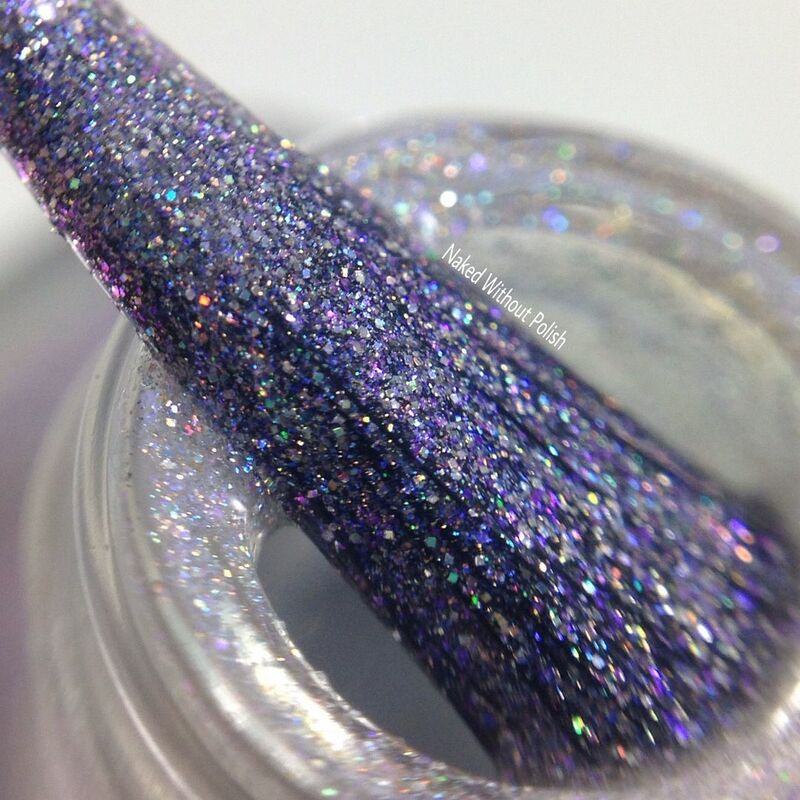 Uranus is described as "a linear holo with a lot of added microfine holo glitter in a blue/purple duochrome base ". 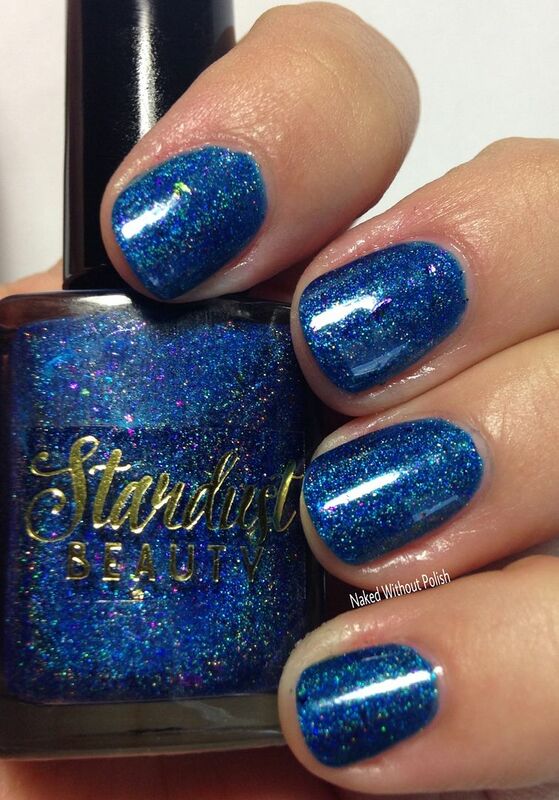 Shown is three coats of Uranus with top coat. Uranus is named for the God of the skies and heavens. Uranus has never looked more beautiful. 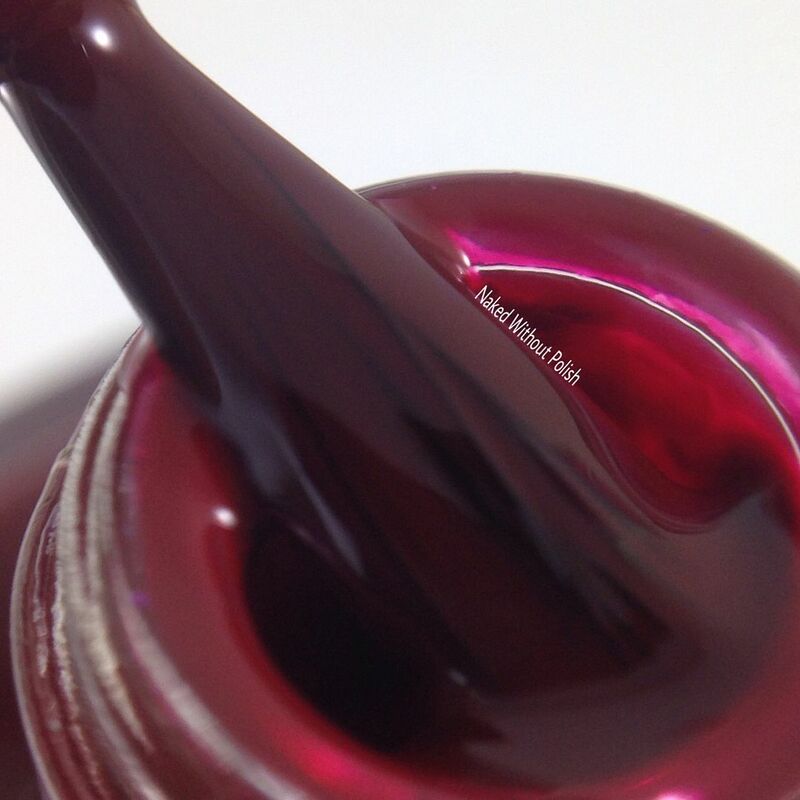 Uranus has a flawless formula and applies incredibly smooth. 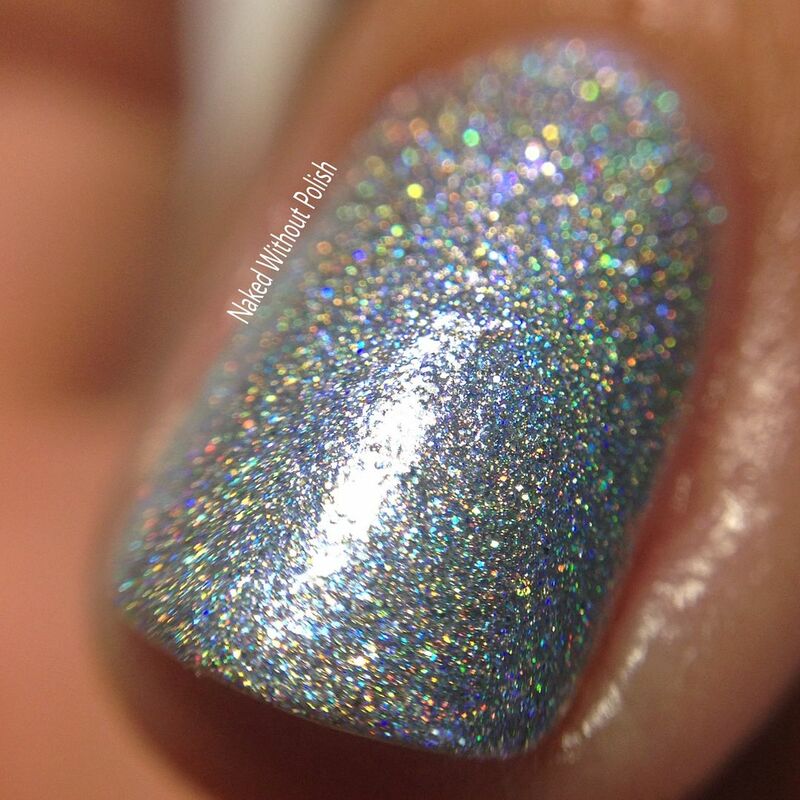 Uranus is super sheer. 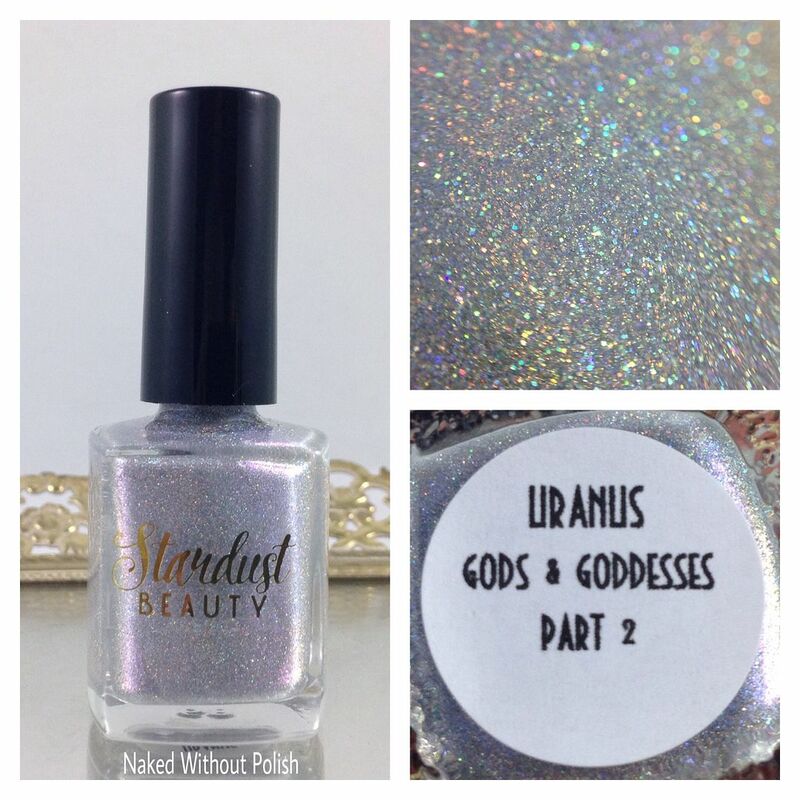 Three coats is definitely needed to make sure Uranus is opaque. 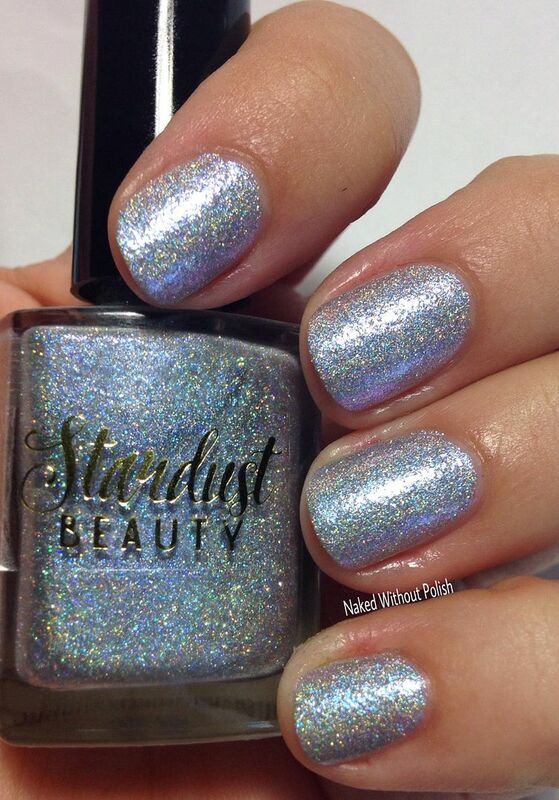 Everyone needs Uranus on their nails. Uranus for everyone!! 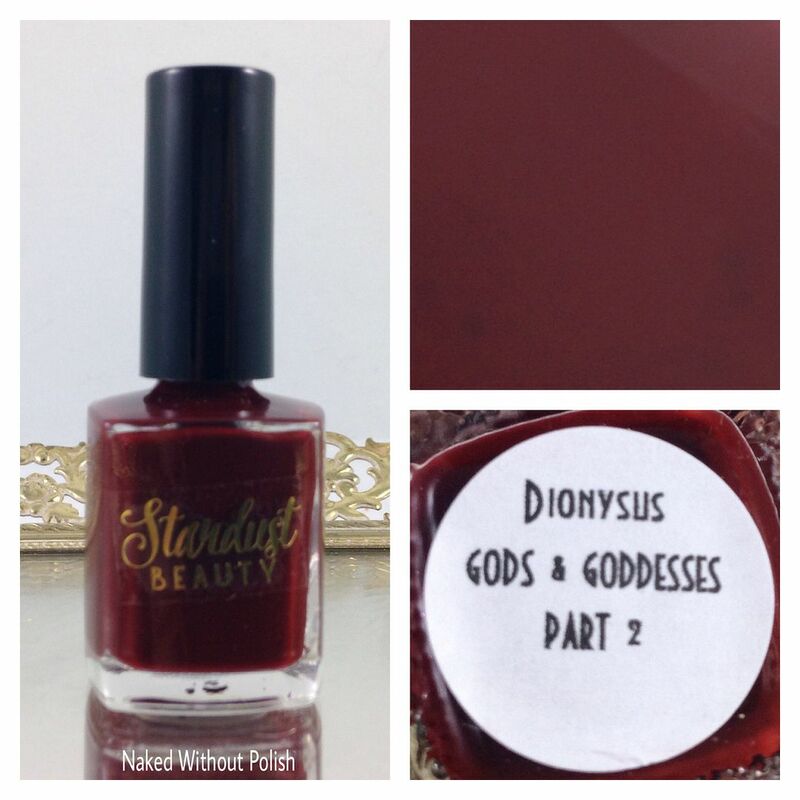 Dionysus is described as "a deep red/burgundy creme". 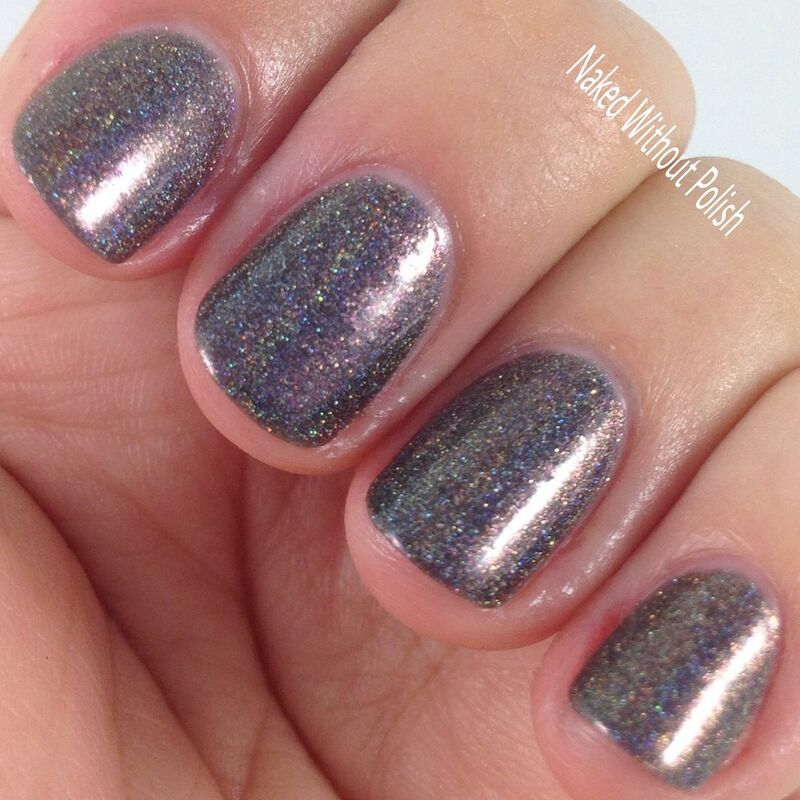 Shown is three coats of Dionysus with top coat. Dionysus is named for the God of wine and pleasure. 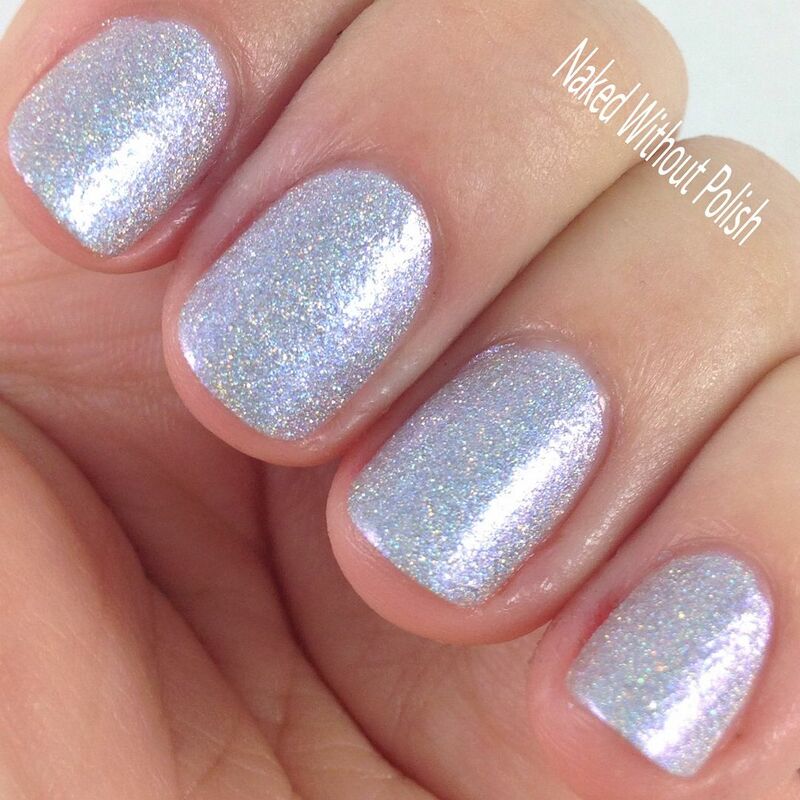 It applies slightly streaky, but is beautifully opaque and even after the third coat. 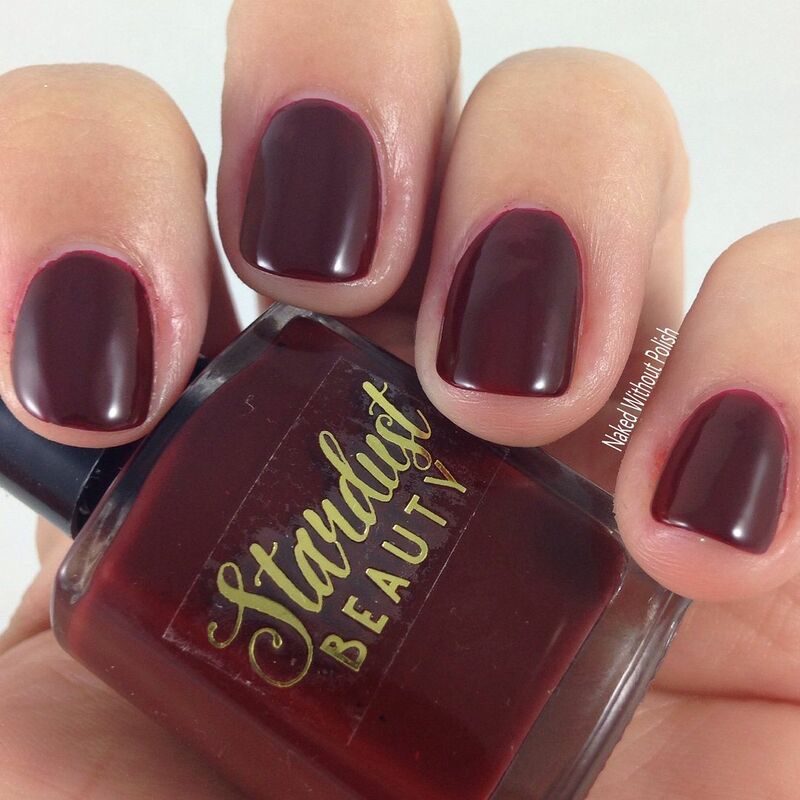 A wonderfully vampy polish that will make you feel drunk with power (get it? God of wine...drunk with power...hahaha I had to). 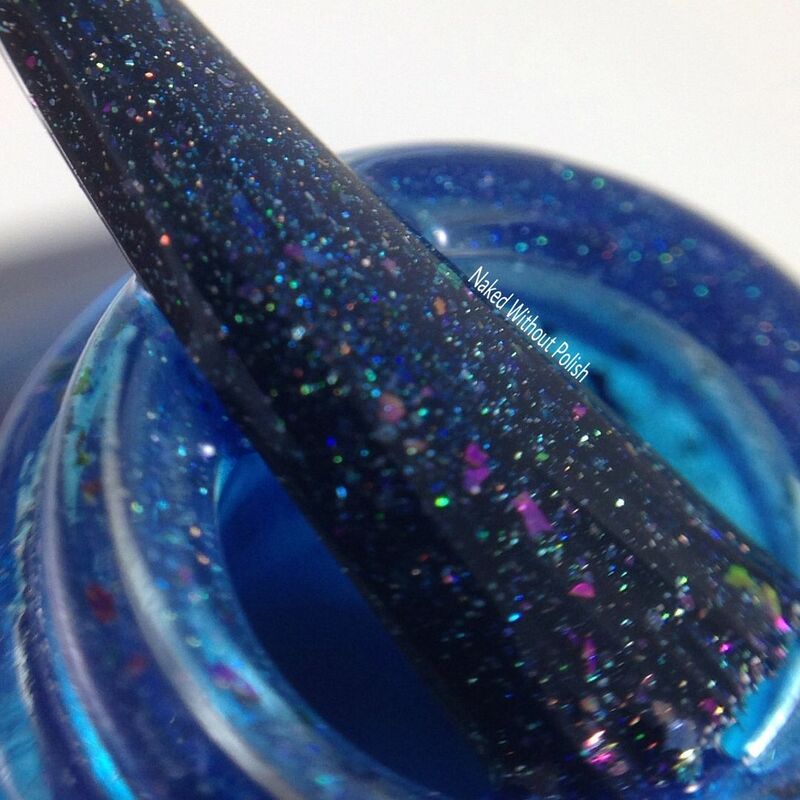 Aeolus (the sticker was misspelled) is described as "a blue linear holo with slight red shimmer and pink/purple/blue/gold chameleon flakies". 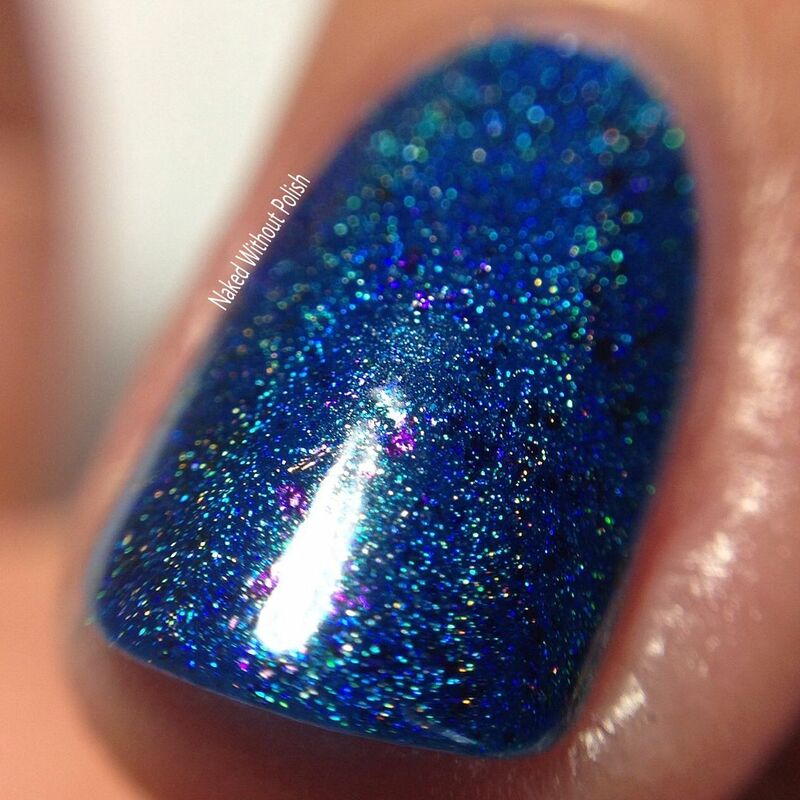 Shown is two coats of Aeolus with top coat. Aeolus is named for the God of air and wind. It is a beautifully squishy jelly. 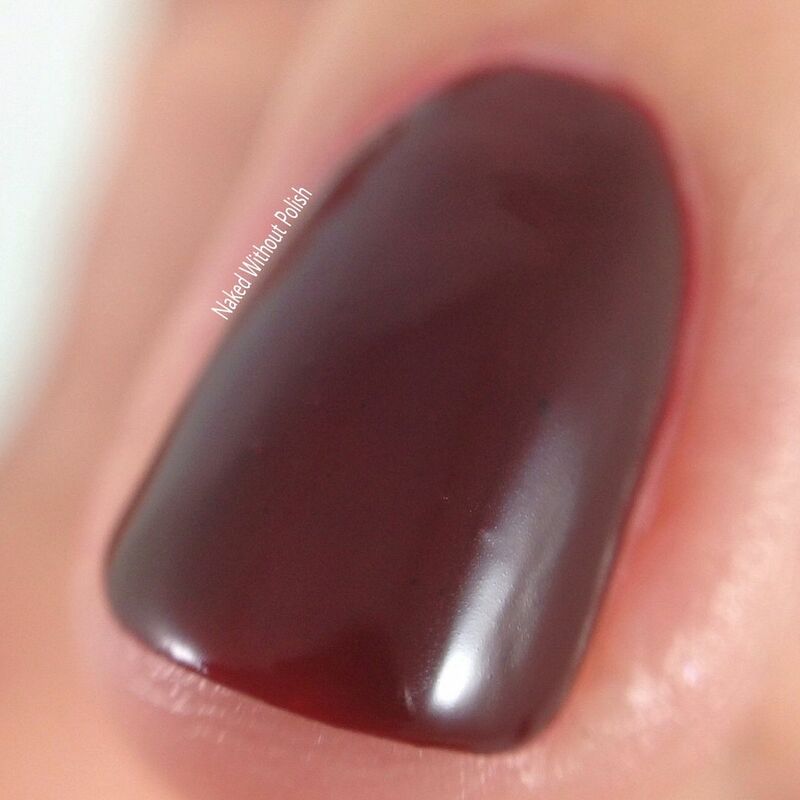 Smooth application and opaque after two coats. 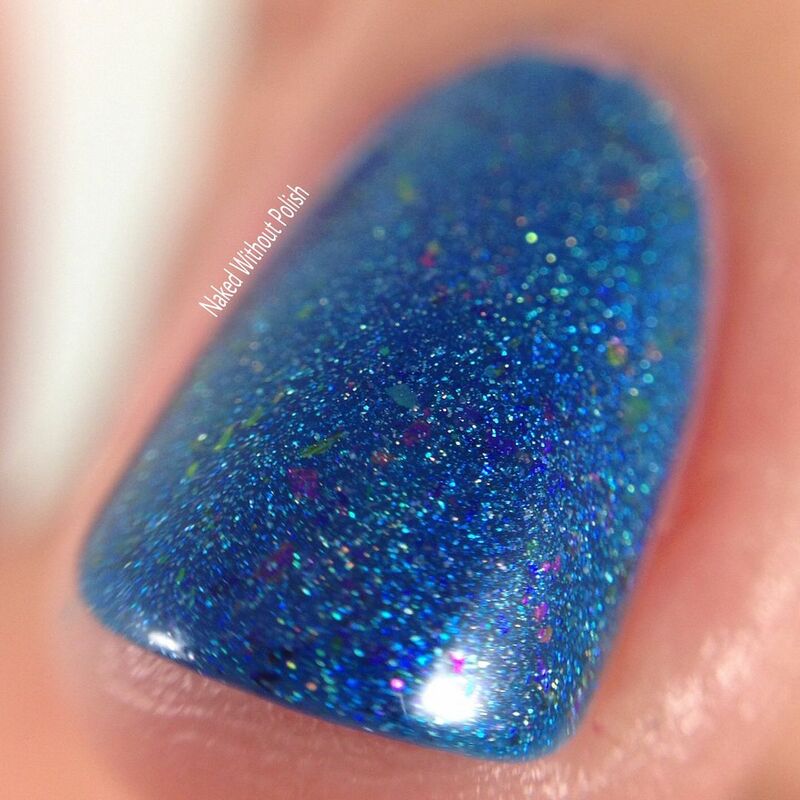 This polish is screaming for some fish stamping or pond mani or something fun! 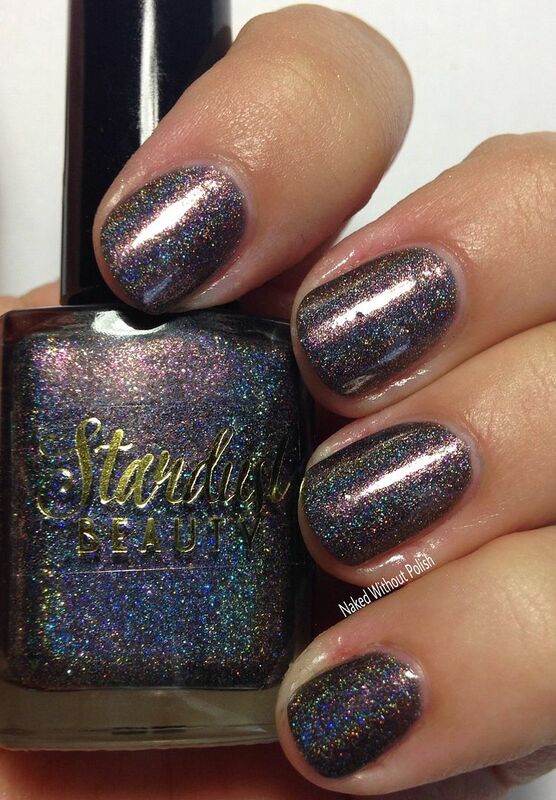 Hecate is described as "a dark grey linear holo with added micro holo glitter and red/purple shimmer". 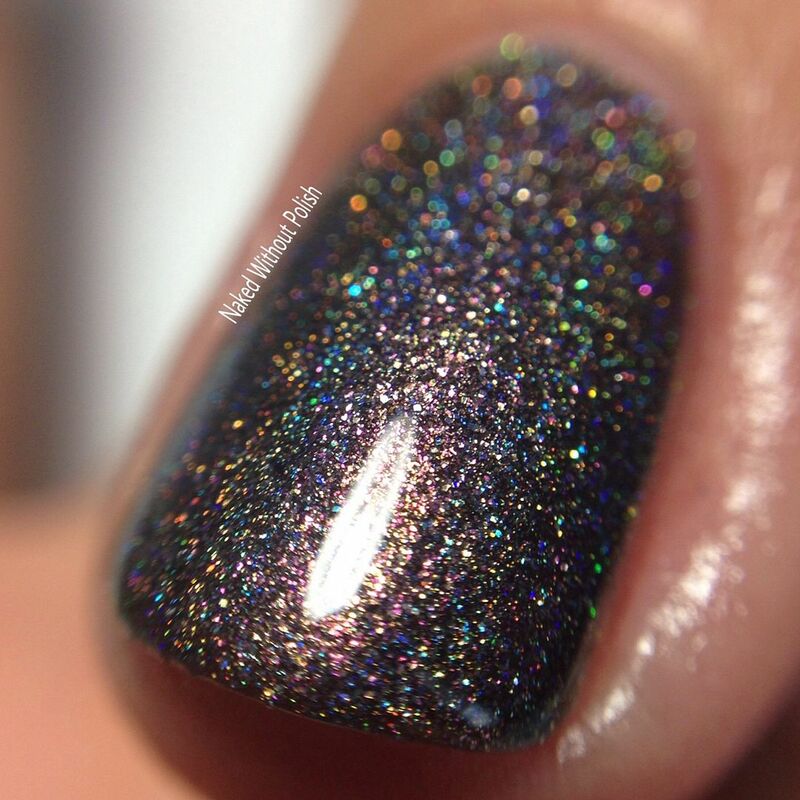 Shown is two coats of Hecate with top coat. 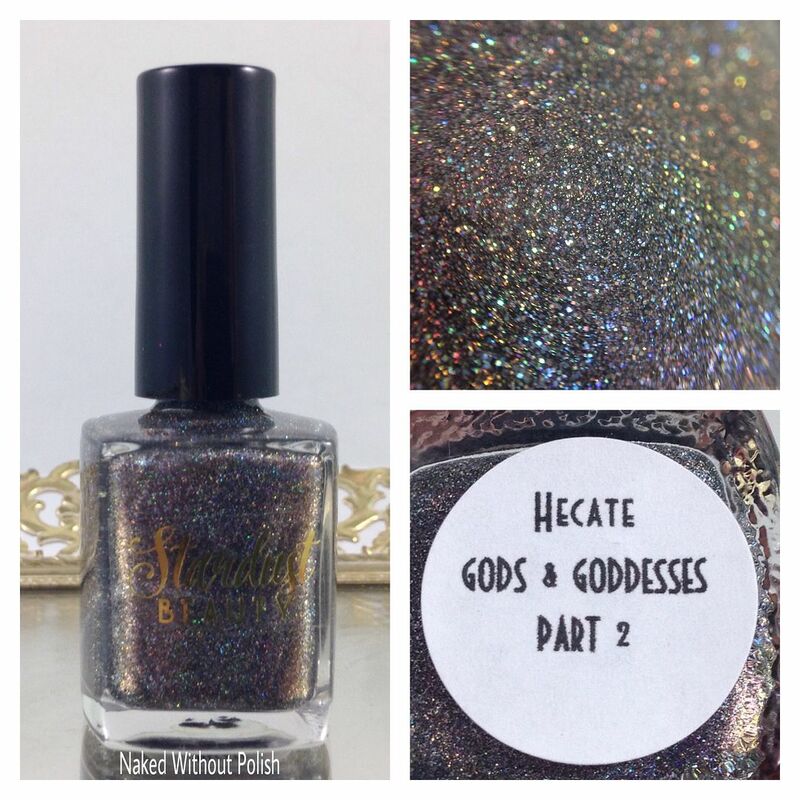 Hecate is named for the Goddess of magic, witchcraft, and the undead. 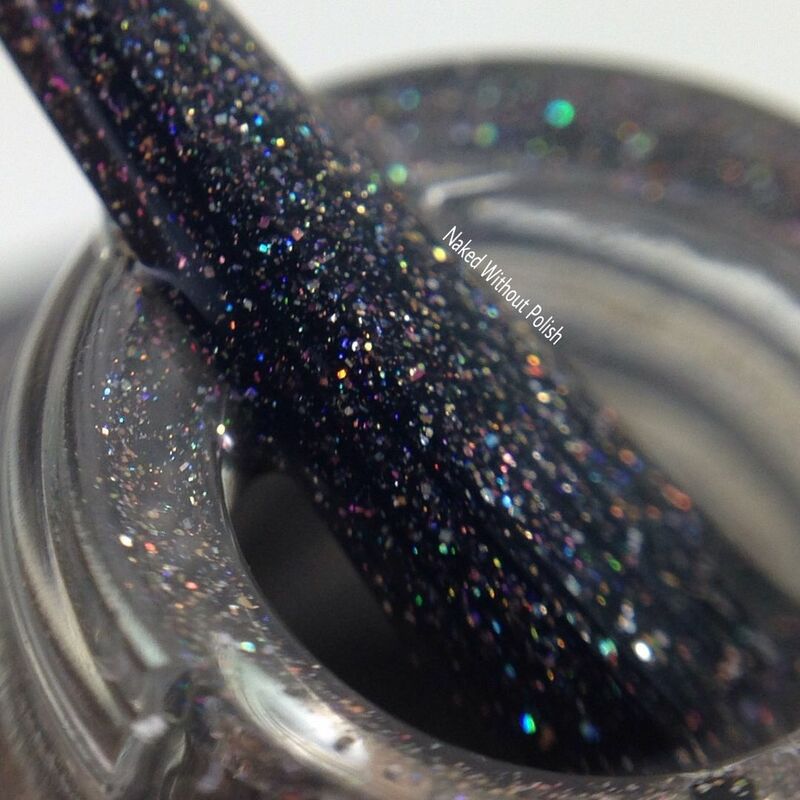 This beauty is full of mystery and magic. 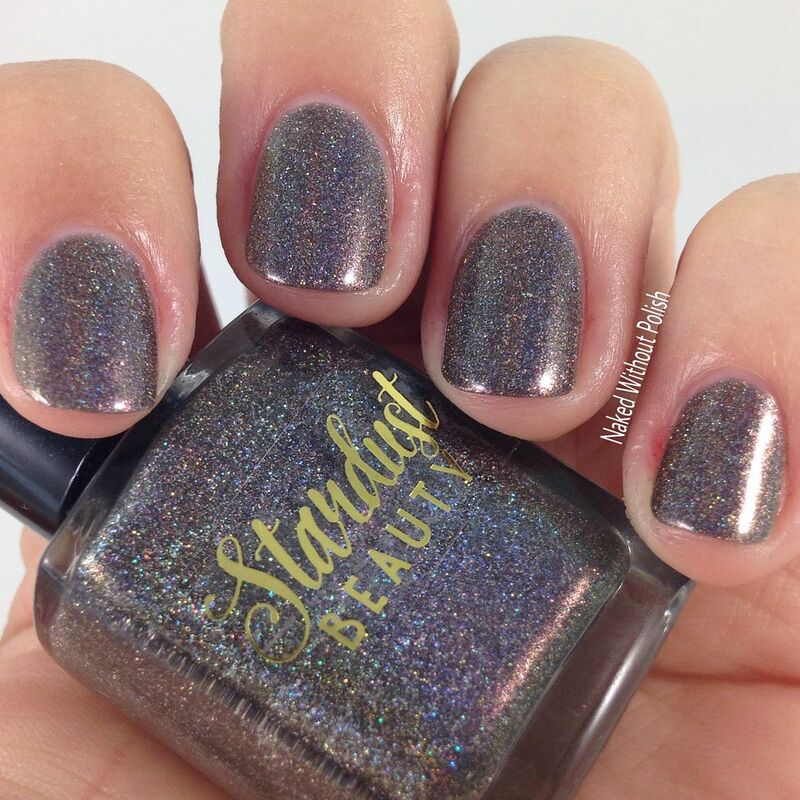 It may be a dark grey, but it definitely gives off a beautiful cocoa shade once fully built up. 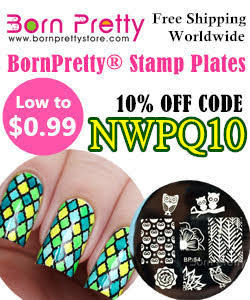 Great application, beautiful formula. 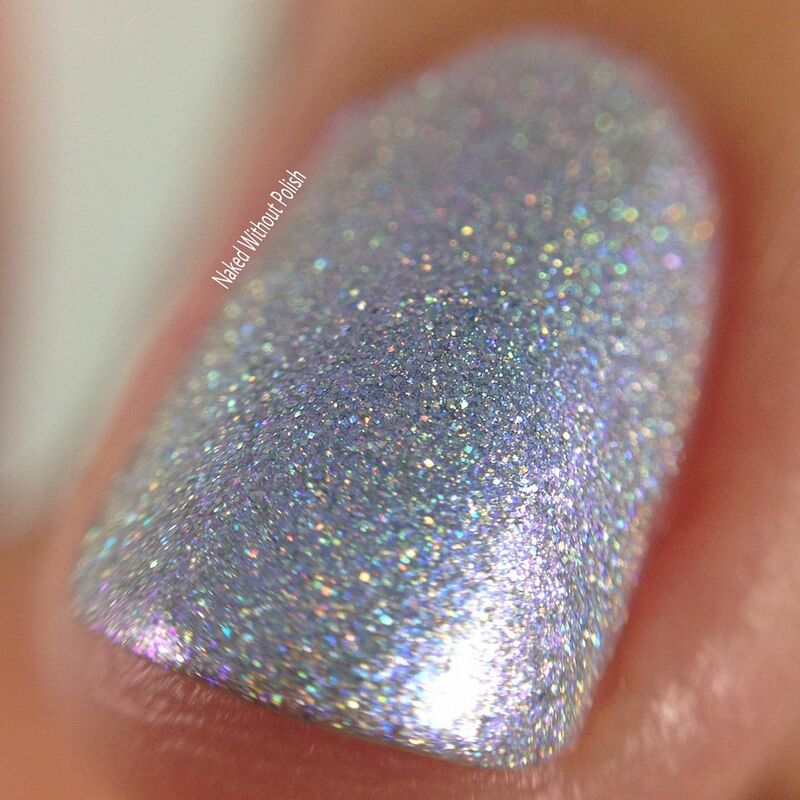 Would make a great base for some nail art. This one definitely needs to be played with. I see a ton of versatility in it. 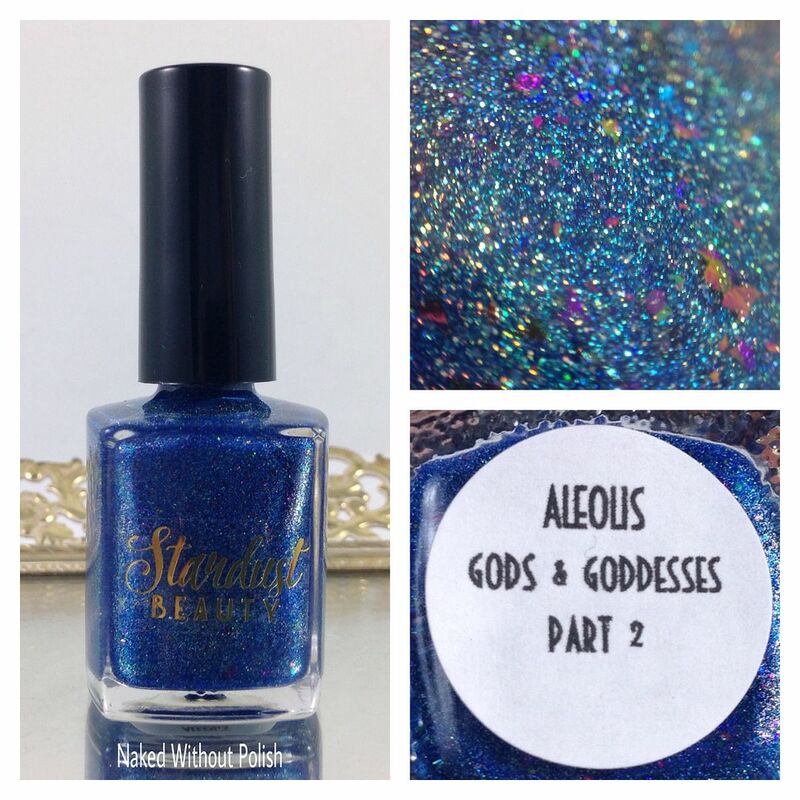 Like I said previously, the Gods & Goddesses Collection Part 2 will be available to pre-order starting tomorrow! Not able to get them in the pre-order? 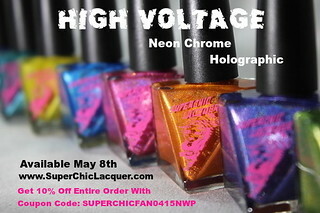 No worries, they will be fully available on November 1st! 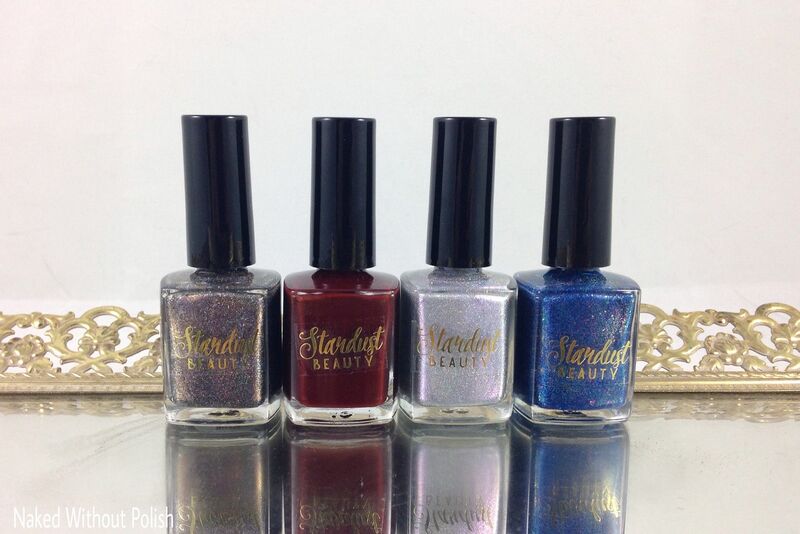 Dionysus will be $9 and the other three will be available for $12. 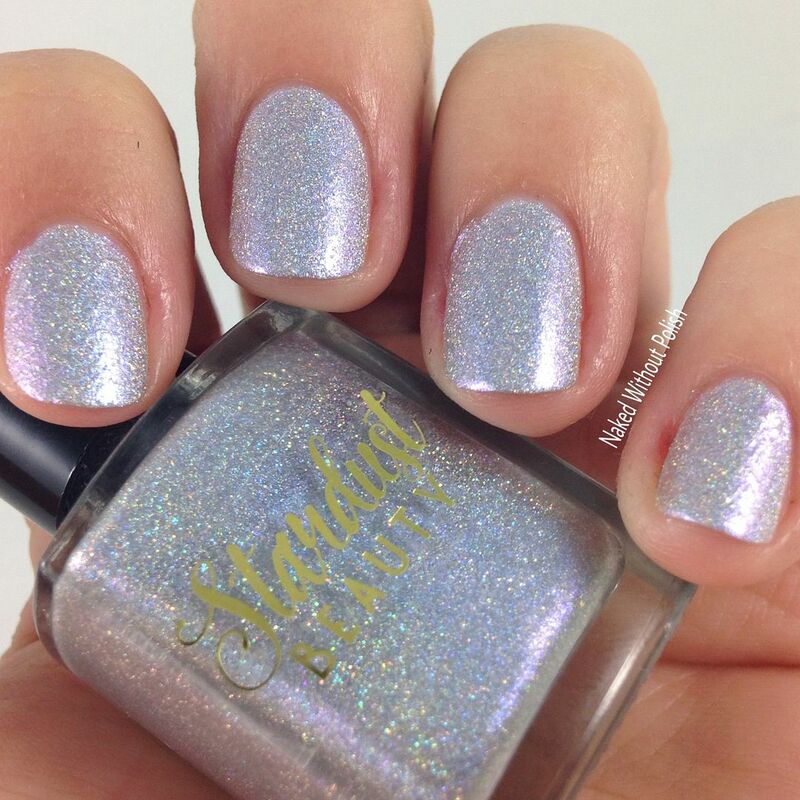 While you're hanging out in the Stardust Beauty shop, check out her other polishes. 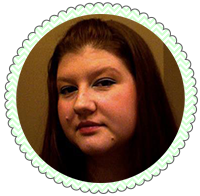 She has so many other beauties available, and some are even on sale! 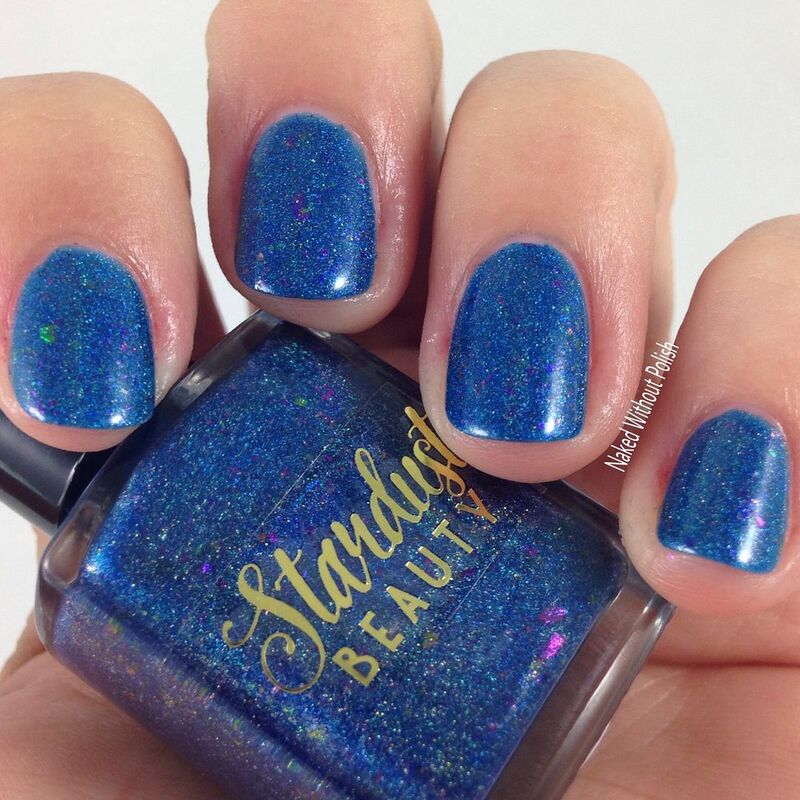 Make sure you are following Stardust Beauty on all of her social media platforms (links below) to stay updated on news, releases, and sales! Please tell me Uranus is on everyone's wish list! I hope you all love these as much as I did. What caught your eye?